In an amazingly small and compact design, the Lambda Mini includes not only the laser diode and precision collimating optics, but also the laser controller and power supply via USB. All you need for operating and controlling the laser is a simple USB cable connected to your computer! All operating parameters can be monitored and controlled from a PC using the laser control software for Windows; or alternatively, the laser can be controlled from your own application software. 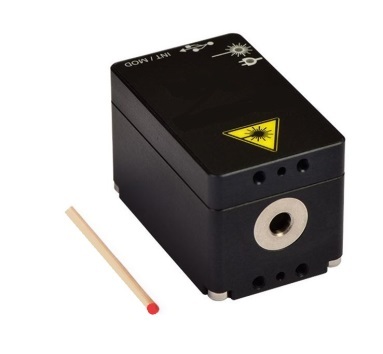 The laser module is available either with free-space collimated TEM00 beam or factory aligned fiber-coupling. It is the perfect choice for space-limited application requiring a high-precision light source.